In the post-Sumerian “Mardukite” era of MESOPOTAMIA, the traditions and systems of the Anunnaki were sealed under MARDUK, heir of ENKI. During the shift to the Age of Aries – the sign of MARDUK, represented by the Ram – religion, spirituality and the global reality experience became fueled by ‘divine politics’. The famous ‘creation stories’ and ‘mystical definitions’ (that serve as the basis for future traditions and ‘societal reality systems’) were forged onto tablets of propaganda supporting the ‘Babylonian‘ paradigm by the priestscribes of (‘led by’ or ‘dedicated to’) NABU, heir of MARDUK. Figures that appear central to the infrastructure of MARDUKITE BABYLONIAN systems are the younger generations of Anunnaki. The BABYLONIAN tradition is a direct evolution of the earlier Sumerian legacy – it is the progression of a particular Anunnaki family in MESOPOTAMIA and not simply the assimilation or recreation bring applied to a similar pantheon elsewhere (as we see in cases of later developed ‘classical mythoi’, which simply regurgitate to us the ancient themes with new names. After the vision put forth by Sargon, King Hammurabi (c. 1790 B.C. by the short chronology) is the next most famous and contributory ruler toward a Mardukite Babylon in MESOPOTAMIA. In homage of MARDUK‘s own legacy put forth in the ENUMA ELIS (‘Epic of Creation‘), King Hammurabi reconstructed the ziggurat temple-shrine earth-home of the Anunnaki god MARDUK, the Esagila – built in even more ancient times to establish a Mardukite ‘World Order’ prematurely during MESOPOTAMIA‘s evolution – an effort brought down as an archetype of the ‘Tower of Babel’ ziggurat by the Enlilite Sumerians. The region of Babylon experienced human occupation since at least the Third Millennium B.C. (since at least the period of Sargon of Akkad c. 23rd century B.C.). 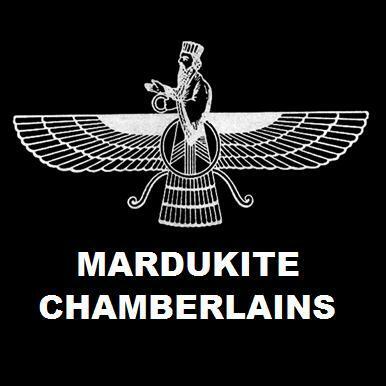 That being said, the independent BABYLONIAN city-state of the “Mardukite” legacy we know today is launched primarily through the efforts of the Amorite Dynasty; specifically Hammurabi, who goes on to replace the former Enlilite Sumerian tradition with a complete MARDUKITE BABYLONIAN re-write. Sumerian language is denationalized and scribes record all literature in the “new” Akkadian-Old Babylonian that accounts for the majority of pre-Assyrian cuneiform tablets found and translated today. 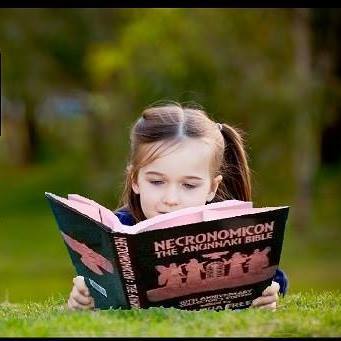 The BABYLONIAN cuneiform tablet literary revolution by the priest-scribes of NABU made way for the means to establish a firmly rooted evolution of the Anunnaki tradition emphasizing MARDUK as the supreme ‘King of the Gods‘ and completely replacing the previously accepted SUMERIAN paradigm. King Hammurabi is considered the greatest empire engineer since Sargon of Akkad. Efforts conducted over the forty-three year period of his reign allowed a centralized ‘world government’ of BABYLON to form that not only served the people on an emotional, cultural and religio-spiritual level, but also reaching energetic and monetary heights in global wealth, power and influence. Ruling in honor of MARDUK allowed King Hammurabi to bring BABYLON to fruition with cultural and spiritual heights not visited again for at least one-thousand years when over a millennium later, the Neo-Babylonian era of Nebuchadnezzar II. Of the many conventions introduced to human civilization from BABYLON, the Hammurabic legal system is one of the most significant to note – made popular in consciousness as the “eye for an eye” methodology known as the CODE OF HAMMURABI. Although tyrannical and draconian penalties are the most frequently cited examples of the ‘Code’, the details of 282 laws established the citizen rights, property rights, social rights and even feminine equality rights in addition to the creation of a “class” system.